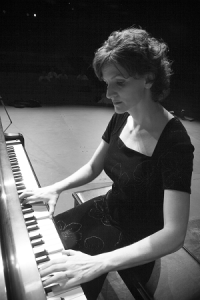 Performer, teacher, adjudicator, accompanist and singer, Debra DeMiero earned her master’s degree in music from Washington State University with an emphasis in piano performance. She holds degrees in Piano Performance and Piano Pedagogy from Seattle Pacific University, and earned her A.A.S. degree from Edmonds Community College where she was a member of Soundsation and Symphonic Choir. She has studied with Béla Nägy, Ruby Bailey-Ronald and Marcile Mack. In addition to serving on the music facility at EdCC, where she teaches Music Fundamentals and piano, Debra teaches privately and manages her home piano studio. She is the music director at St. Thomas More Parish in Lynnwood and an accompanist for the Seattle Children’s Chorus. Debra lives in Brier, Washington, with her husband, Vince, and they have four children and three grandsons.